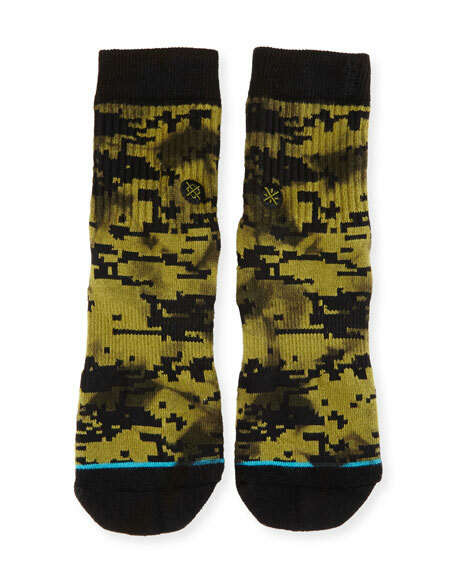 Stance "A-Tac" abstract-print socks, created in collaboration with NBA star Dwayne Wade. Ribbed cuffs to prevent slipping. For in-store inquiries, use sku #1973471.